You may have heard of reports of gold dust, as well as precious jewels, falling from from the sky during times of worship, in recent years. Like me, you may not know what to make of such reports – or you may simply reject them as fabrications. 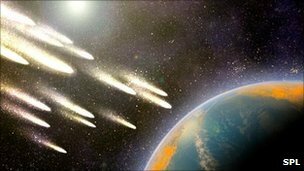 But it is interesting to read in a BBC report that scientists now believe that almost all the gold in the earth’s crust has fallen from the sky – quite literally, in the form of meteorites. The scientists date this fall of gold and other precious metals to 3.9 billion years ago – a date which young earth creationists are unlikely to accept. But, even though we don’t believe that the home of God is literally up there, there is something symbolically interesting and possibly significant in the heavenly origin of all our gold. 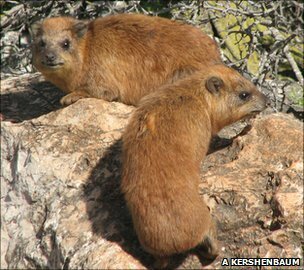 Although hyraxes are generally quite popular with suburban wildlife-watchers, some people have called for a cull. If only the BBC would broaden its recognition that problems can be solved by doing things “just as it says in the Bible”! James McGrath links to a post by David H. Bailey Supernovas and “God the Great Deceiver” theology. In this post Bailey explores some of the apparent implications of the Young Earth Creationist position, that the universe was created only about 6,000 years ago – or in some variants up to 20,000 years ago. 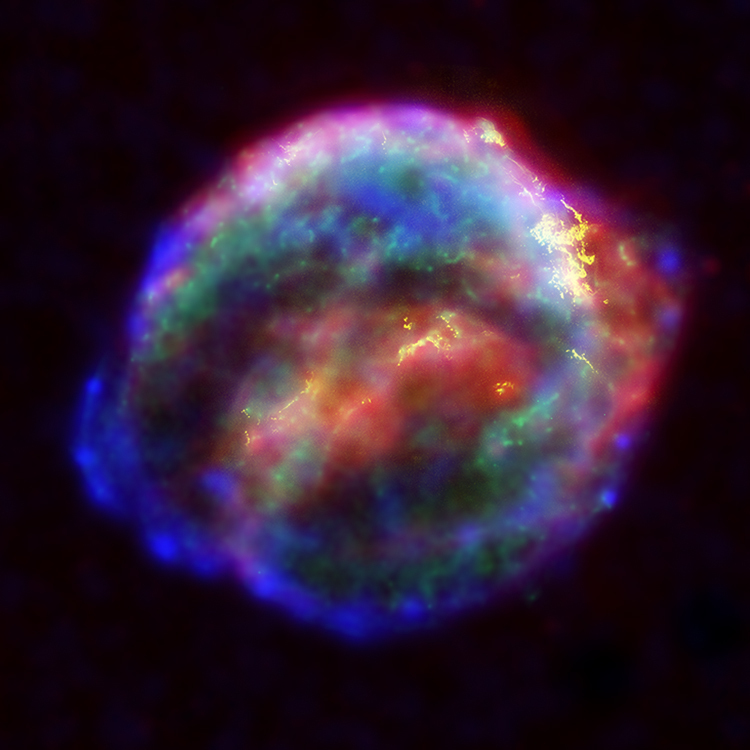 Bailey notes that astronomers regularly observe events, supernova explosions, from at least 200,000 light years away in other galaxies, and so, according to orthodox science, which took place at least 200,000 years ago. [T]he light rays … must have been created carrying information descriptive of historical physical events (such as super novae) which never actually occurred, because we would now be observing light rays which were created in transit and never were radiated from the stars which they seem to image. There is a possibility that God created a ‘grown-up’ universe. For example, Adam, the first night he existed, might have seen the light of the furthest stars without waiting for long light years to pass before they could be seen. To this possibility, we must quickly add one note. This does not mean that God is capricious. And surely it does not imply, and I would totally reject, the concept Bishop Samuel Wilberforce suggested at Oxford in Darwin’s time: that God created fossils in the earth in order to fool fools. This is totally out of character with the God of the Bible. However, just because it was stated so horribly in the days of Darwin is no reason not to suggest that God may have in some sense and in some areas created a grown-up universe. One could ask, for example, whether the trees when they were created had rings. to anyone outside the world of hard-core creationists, this type of “God the Great Deceiver” theology, namely the notion that God deliberately constructed a phony universe to mislead diligent seekers of truth in the 21st century, is not only absurd but downright blasphemous. It is utterly at odds with the notion of a rational, comprehensible God that has been the mainstay of Judeo-Christian theology for several millennia. Indeed, such a being would be utterly unworthy of our reverence or obedience. I don’t believe God commits fraud. Creating a beam of light from source to observer so that the observer appears to see current information must also mean there is a whole stream of information in the beam that is false. The problem is that three of his other solutions, that the speed of light was enormously faster in the past or that clocks on earth and elsewhere in the universe run at vastly different speeds, seem totally implausible to someone like me who has studied physics to a high level. And the remaining solution is to concede that the universe is ancient and only the earth was recently created. Hartnett’s own preference is for a solution in which for the first few “days” of creation clocks on earth, and maybe in the whole solar system, ran ten trillion times slower than clocks elsewhere in the universe. Thus each “day” of creation, as measured on earth where there were in fact no observers other than God, corresponds to ten trillion astronomical days. This sounds to me very like an attempt to present “day-age” type old earth creationism in young earth creationist language. So, it seems that at least some young earth creationists agree with Bailey that God is not the Great Deceiver. But they have yet to come up with even slightly convincing explanations of how the light from distant supernovas could have reached us in 6,000 years of real time. To any of my readers who haven’t got an ology I offer an, um, ap-ology, for bringing four ologies into the title of this post. My responses to Scott Bailey’s post Does Higher Criticism Attempt to “Destroy the Bible”? V, both in comments on that post and in my own post Scott Bailey in bed with creationists!, have created a small storm. I will not attempt to respond any further to Scott, as it is clear that he holds to his materialistic creed with the fervour of a fundamentalist. But some important issues were raised by Scott’s commenters Terri and 4xi0m. I started writing this post in order to address these issues, but matters have moved on as I have been working on this post, and I have said in many further comments there much of what I intended to write here. So here are some slightly disconnected thoughts about the matter. I can also recommend John Hobbins’ post Why Scott Bailey is wrong and Alvin Plantinga is right. Just as experiments on the behaviour of individual humans cannot succeed without their consent, so we cannot hope to experiment on the behaviour of individual demons or angels who are unlikely to consent. The best we can do is observe their typical behaviour using the kinds of techniques used in anthropology. is traditionally divided into four sub-fields, each with its own further branches: biological or physical anthropology, social anthropology or cultural anthropology, archaeology and anthropological linguistics. Theological anthropology, which is not part of anthropology but a sub-field of theology. It emerged as the principal approach to ethnographic research by anthropologists and relied on the cultivation of personal relationships with local informants as a way of learning about a culture, involving both observing and participating in the social life of a group. By living with the cultures they studied, these researchers were able to formulate first hand accounts of their lives and gain novel insights. This same method of study has also been applied to groups within Western society, and is especially successful in the study of sub-cultures or groups sharing a strong sense of identity, where only by taking part might the observer truly get access to the lives of those being studied. 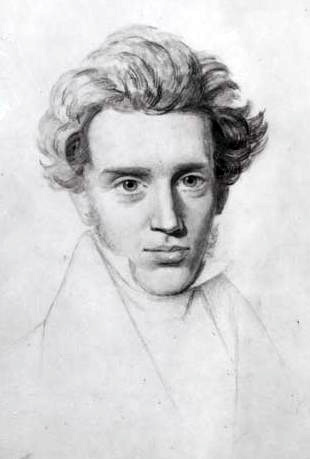 I’m sure Scott and his commenters would agree with me that, to a large extent at least, Christian healing and the attribution of activity in this world to angels or demons takes place largely within “sub-cultures or groups sharing a strong sense of identity”, referring to the Christian groups practising these things. That justifies the use of participant observation methods to study these phenomena. I would accept that there are limits to what can be proved by such methods. 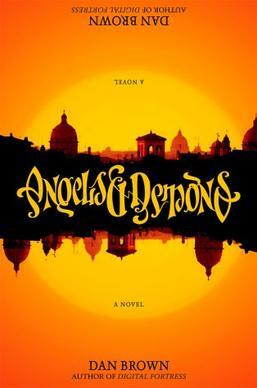 But there is another factor here, that angels and/or demons, if they exist, can themselves be treated as “sub-cultures or groups sharing a strong sense of identity”. As such one cannot hope to study their behaviour in any detail without “cultivation of personal relationships” with them as a participant observer. Now I would not suggest that anyone should cultivate personal relationships especially with demons. My point here is more that angels and demons cannot be studied as if they are impersonal forces. Nor can God, although participant observation would not be a suitable technique for studying him. there is an issue to be considered whether spiritual healing depends on “the caprice of an invisible, unpredictable force” or “follow[s] a predictable law”. Here “force” is 4xi0m’s word. I would have used “person”, on the basis that forces are predictable but persons or not. But on the quantum level even forces are unpredictable, and the Free Will Theorem ascribes to them free will and so blurs the distinctions between them and persons. Scott should note that this theorem which offers metaphysical results, while not necessarily proved beyond doubt, was put forward by respected scientists in the peer-reviewed journal Foundations of Physics. In fact we have a false dichotomy here. It is well known in many branches of science that whereas the behaviour of individual constituent parts of a system may be unpredictable the behaviour of the system as a whole may follow highly predictable laws. Much of physics and chemistry depend on this large scale predictability of systems which are apparently random at the molecular level. And these same principles can be applied to the behaviour of large groups of people: the choices of each individual are unpredictable but the overall behaviour of the group can often, if not always, be predicted rather well. Indeed this is the whole basis of social science. One might expect this to be relevant to the activities of angels and of demons, to the perhaps debatable extent that they are individuals acting independently. But is this relevant to Christian healing? I’m not sure. The involvement of angels in healing is controversial. And if healing is down to the work of one God, then it is not about averaging out the behaviour of many individuals. This is a matter not of sociology but of theology. There is another ology involved here which I cannot recommend for serious study, although sometimes it is good for a laugh: Scotteriology. Last year I posted that Our world may be a giant hologram, on the basis of a New Scientist article. But now I read that The universe probably isn’t a giant hologram after all. Ah well, you can’t win ’em all. Thanks to James McGrath for the link. And I love the cartoon in that post of his.